By now most readers are familiar with the Enduro World Series, but there are quite a few other great races that attract riders from around the world. The Trans New Zealand Enduro is one of those. 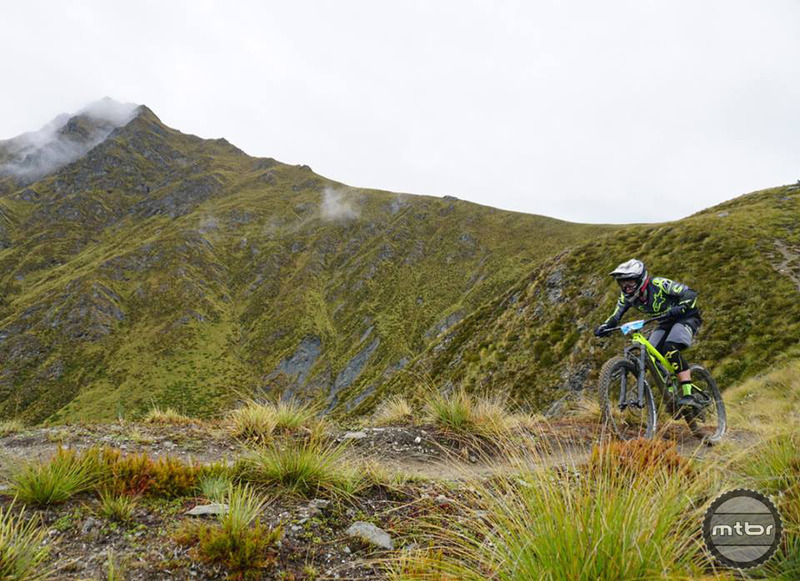 The Trans NZ Enduro is a 5 day all-inclusive enduro event that takes riders over some of the best trails on the South Island. 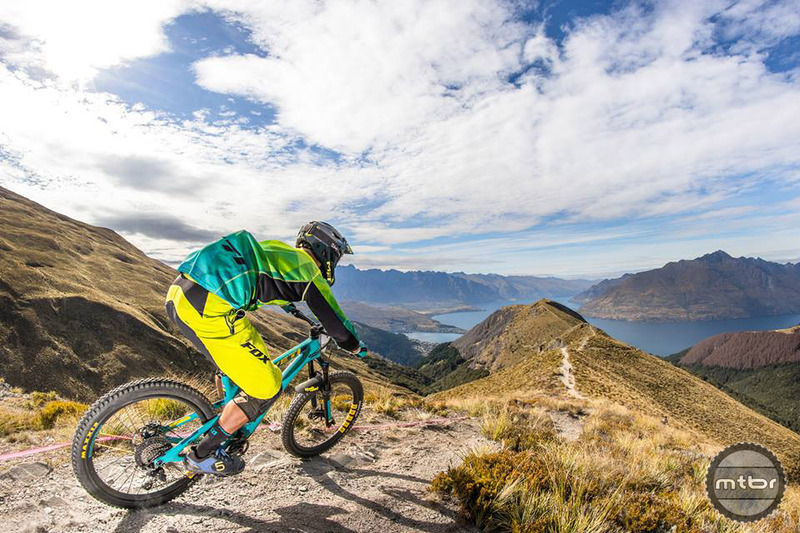 It takes riders on a challenging adventure of all styles of trails from Craigieburn in the Canterbury region to the famous Queenstown trails and a few stops in between of seeing how far you can push your limits. Throughout the 5-day race, racers traverse native beach forest, alpine zone riding, roots, high speed flow, loose steeps, and chunky rock. The race coordination team, led by Megan Rose, selected a unique mix of trails that provide the challenge and fun that racers desire but also the diversity of terrain and views that exhibit all that New Zealand has to offer. This year’s race took place February 25-March 1. Racers would forego the use of shuttles or lifts and were subjected to a true suffer fest with over 1500m (4900ft) of climbing each day and over 2,000m (6,500ft) of descending each day, totaling over 12,000m (39,000ft) of descending over the course of 5 days. Racers covered approximately 30kms (18 miles) with about 4-6hrs out on course each day. 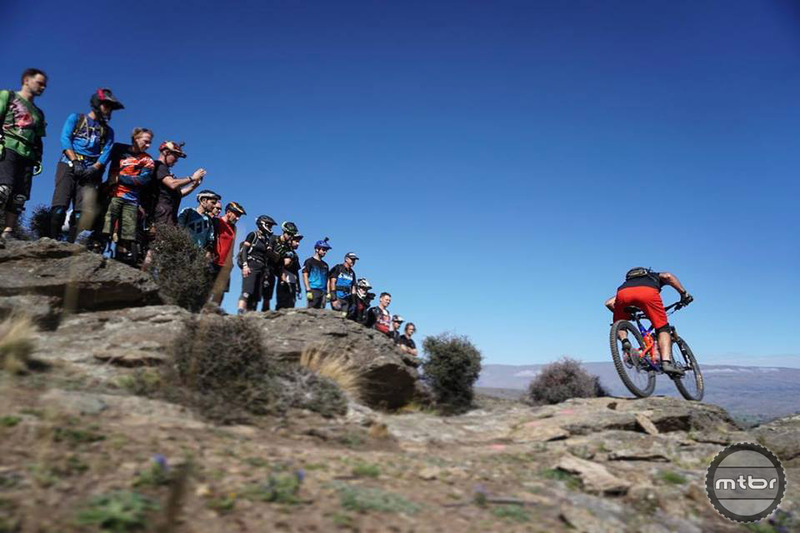 Enduro events are designed to promote the exploration of new trails around the world that challenge all levels of riders from beginner to pro. With only the downhill segments of a race being timed, racers can take their time riding up to the next timed section while recovering. It’s during this time that racers get a chance to enjoy the scenery and socialize with other riders. That’s what makes events like these so popular. One minute you’re “in the zone” navigating a challenging UCI Downhill worthy course with your heart racing, your lungs ready to explode and legs that feel like molten lead and the next minute you’re chatting with your friends while riding up some of the most beautiful trails in the world at a leisurely pace laughing about mistakes made and making plans to come back and ride for fun. Crank up the display quality to 4K, turn up the volume and sit back, relax and enjoy the kind of riding we all wish we were doing right now. Thanks to Nate Hills and Nate Corrigan for taking us along for the ride and to Nate Hills on this 9th place finish in Open Men! Trans NZ Enduro Day 1. Trans NZ Enduro Day 2. Trans NZ Enduro Day 3. Trans NZ Enduro Day 4 . Trans NZ Enduro Day 5. For the entire list of class and stage results click HERE. Follow Trans NZ Enduro on Instagram and Facebook for race updates and next year’s race registration announcement.